>Proverbs 4:7 (TPT)==>“Wisdom is the most valuable commodity—so buy it! 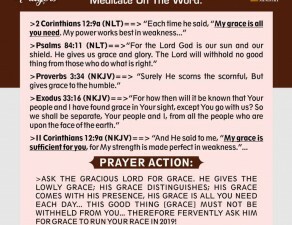 -ASK THE LORD FOR WISDOM LIKE YOUR LIFE DEPENDS ON IT[it actually does]. 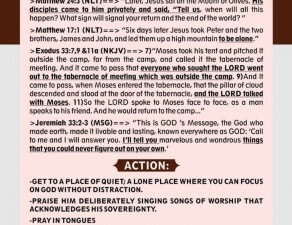 -CALL ON GOD OVER SPECIFIC AREAS/ISSUES/SITUATIONS OF YOUR LIFE AND ASK HIM FOR THE SECRET TO RESOLVE THEM. EXUDE THEM [Solution to the problems of this age that will stand you out like Joseph and Daniel]. 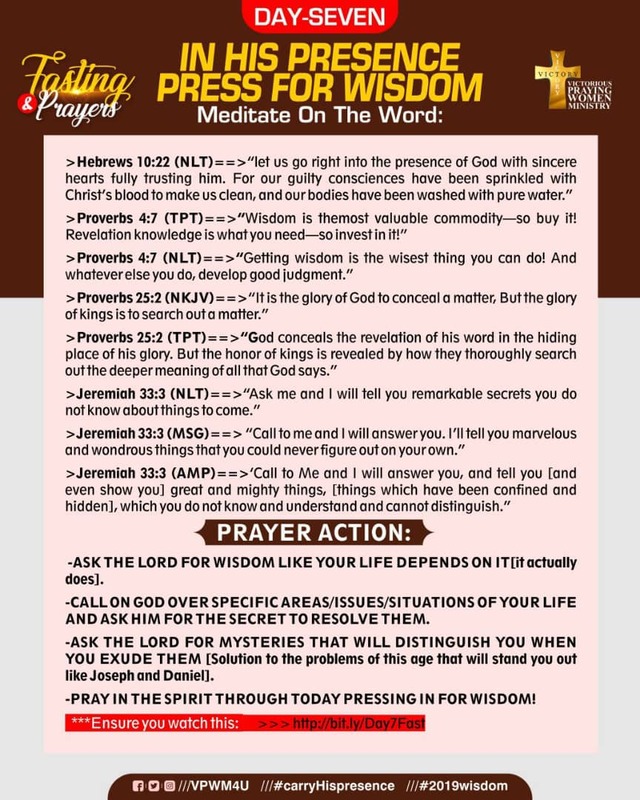 -PRAY IN THE SPIRIT THROUGH TODAY PRESSING IN FOR WISDOM!